For 2018, Audi Q7 Premium Plus models feature a 3D BOSE Surround Sound system, while 3.0T Prestige models get standard power door closers. 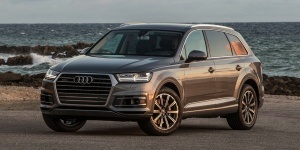 Get the best price for the Audi Q7 of your choice from a dealer in your area. Request a price quote now.